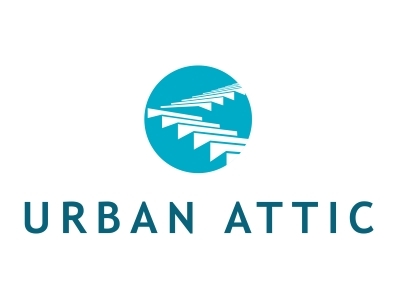 Urban Attic is a full service digital marketing agency that helps businesses to grow by working with them on their marketing. The majority of our work is building responsive, highly functional, optimized websites for our clients but from that we tend to work with them on marketing communications, brand, copy, imagery, social media, graphic design, PR and SEO among other things. We are a small company and we enjoy working with small and medium sized owner managed businesses. Often our clients are those who don’t want to, or don’t have the capacity to hire a full time marketing manger and we act as their outsourced marketing department, managing their social media, media buying, advert designs, SEO and blogs but most importantly, helping them with their strategy so that their marketing budgets are spent wisely and well to ensure a decent return on investment. We build on WordPress and we also offer secure hosting. We can build e-commerce sites and can build sites that require integrations and functionality such as booking systems, calendars, messaging systems, login areas and payment pages. We can maintain and update websites or we can train and clients to do it themselves. As a small business ourselves we absolutely understand the pressures that SMEs are under to run efficiently and well in a quick and timely manner. Our ongoing support and training means that clients tend to stay with us for the long term. If you need a marketing agency to help you to grow your business then please drop us a line. Can you summarise what you do in three sentences and under ten seconds? That’s longer than someone will spend on your homepage before leaving if it’s not absolutely clear what you do. If you can’t articulate your business then it’s hard for anyone else to help you to market it so start there. A clear strategic vision will mean better marketing. Great transport links, low overheads and people who know how to make great business relationships with each other while maintaining a great quality of life. Lancashire is a fabulous place to live and that makes it a great place to do business too. We want the area to thrive so that we can thrive too! We want to build a long term, sustainable business in Lancaster and so we need to produce great work that helps other businesses to grow in turn.